Have you ever listened to a song that you just loved from the first time that you heard it? That is what happened to me back in 2000 with the song "Superman" by Five for Fighting. I fell for not only the lyrics, but the amazing voice and sound of lead singer John Ondrasik. We bought the CD America Town before the song "Superman" became sort of a tribute to the events of Septemeber 11, 2001. To this day, when the song comes on the radio it sends chills down my spine, it really is that special. One of the reasons I included the video of "Chances" is because it really connected when I heard it. The instrumentals combined with Ondrasik’s voice are beyond powerful in this song. There is a reason this song was selected on Extreme Makeover and no doubt it will be in other movies and television shows in the future thanks to the power behind it. "Note to an Unknown Soldier" is a fabulous tribute to the soldiers who have given their lives to protect our country. Each and every lyric talks to the families of these heroes. You can begin to put a picture of these people in your mind. The song tells a story and reminds me of a modern day Piano Man by Billy Joel. 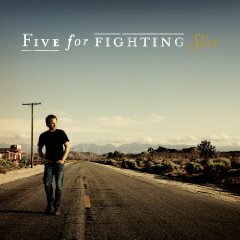 As I listened to Slice, it was easy to hear the growth of Five For Fighting over the last nine years. Each song tells it’s own story and is strong on its own. The lyrics are even more powerful on this album, they speak to different people and make connections to the masses. I know that I will be listening to this strong musical compilation for a long time to come. You can pick up your own copy of Slice at Amazon.com or any other location that sells music. If you are on Facebook and a fan of Five for Fighting be sure to become a fan here. Now I just hope that they will tour closer to us. So far the tour dates listed are not local, but maybe you will be lucky enough to catch one of these shows. 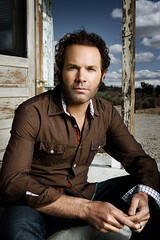 To find out how to get tickets to An Acoustic Evening with Five for Fighting head over to their website. 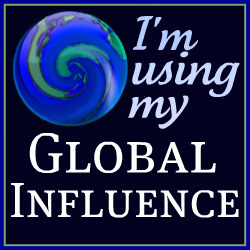 Disclosure: I received a free digital copy of the CD to do this review with no other compensation. The opinions expressed in the review are my own.